The author, standing where he probably shouldn't. 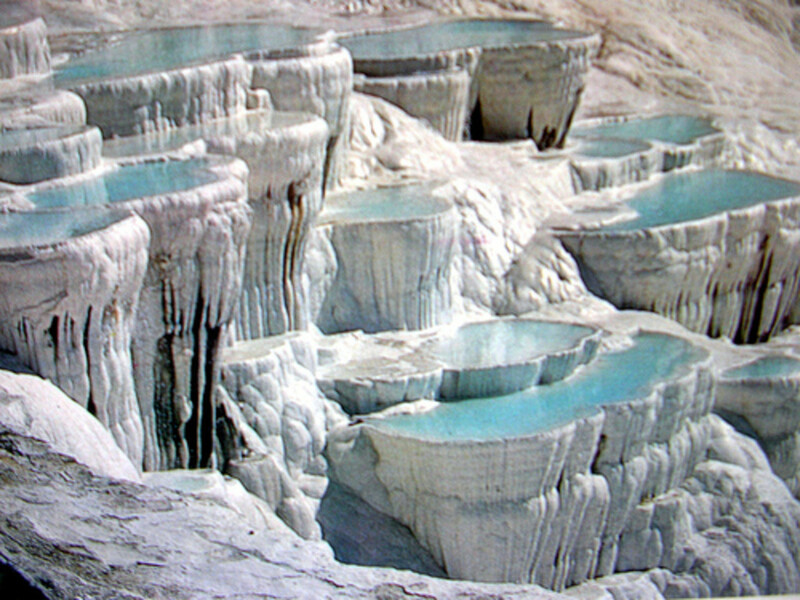 Pamukkale, or "Cotton Castle," is a natural phenomenon of wonder-like beauty. Hot-spring waters rich in calcium oxide have, over thousands of years, cascaded down the slopes of Caldag, resulting in a build-up of white travertine. The result is chalky plateaus and petrified waterfalls colored a stunning white, brilliantly reflecting the colors of the sunset. 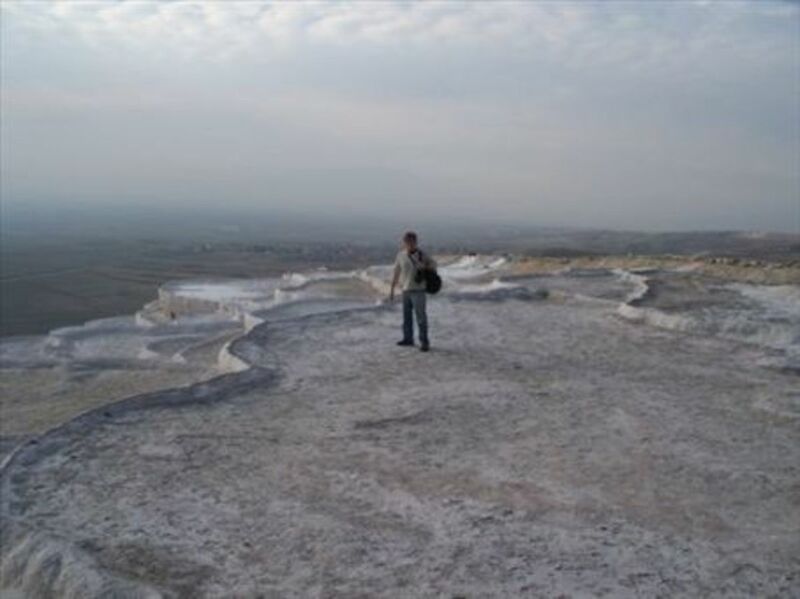 Above Pamukkale lies the ruins of the Roman city Hierapolis, evidently built with the natural hot springs in mind, as remains of marble sluices wind all throughout the city. My day spent here was fabulous. A bus ride to the top of the slope dropped us off at the ruins, where hours were spent examining the vast sprawl of tumbled columns and eroded statuary. This was followed by a barefoot, and painful, hobble down the travertine plateaus, and a refreshing Turkish beer at a local restaurant. 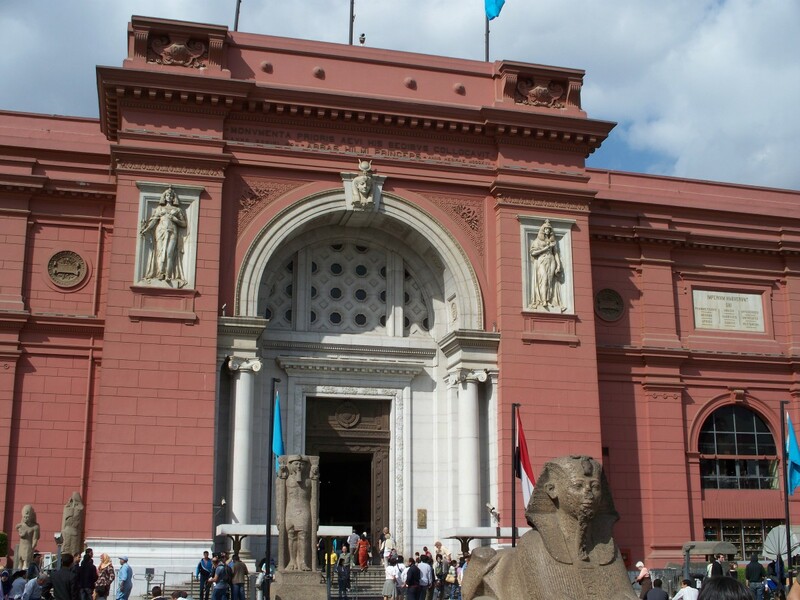 The Egyptian Museum in bustling Cairo, is a feast for one's eyes and intellect, as it houses over 120,000 artifacts from Egypt's illustrious past. 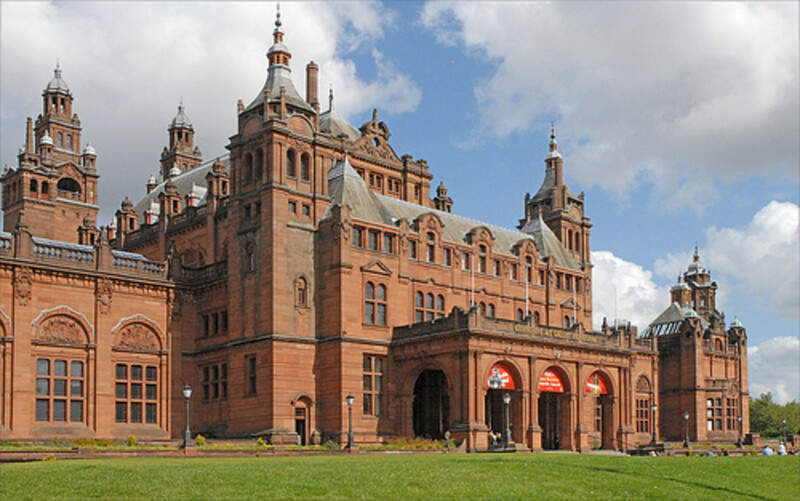 An important consideration to be made while here is how exactly to spend your time, as it is estimated that spending one minute at each item in the museum would take approximately nine months. Possibly the biggest draw in the museum is the veritable treasure trove of artifacts discovered by Howard Carter in 1923 during his excavation of the tomb of King Tutankhamen, a nearly legendary name, and a nearly legendary find. 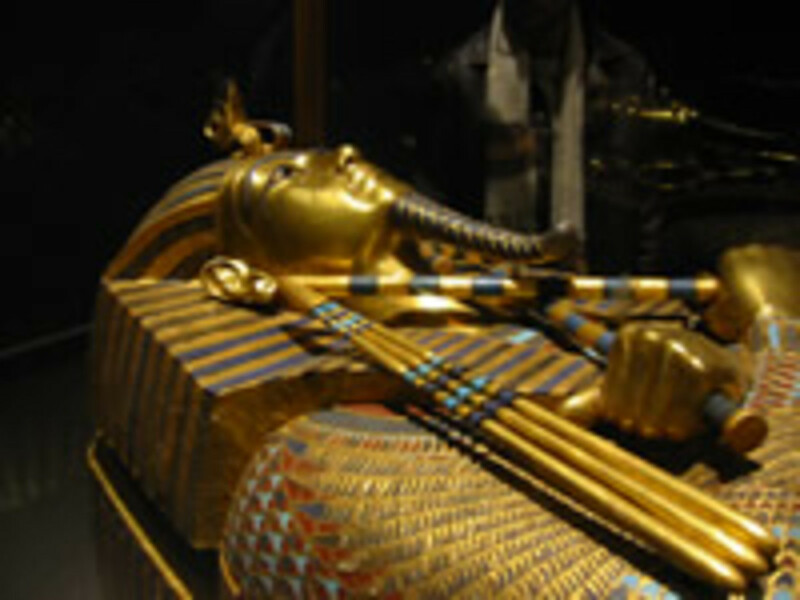 Exquisite jewelry, mammoth statuary and intricately-carved sarcophagi are among the numerous treasures to be seen here. An exquisite collection. 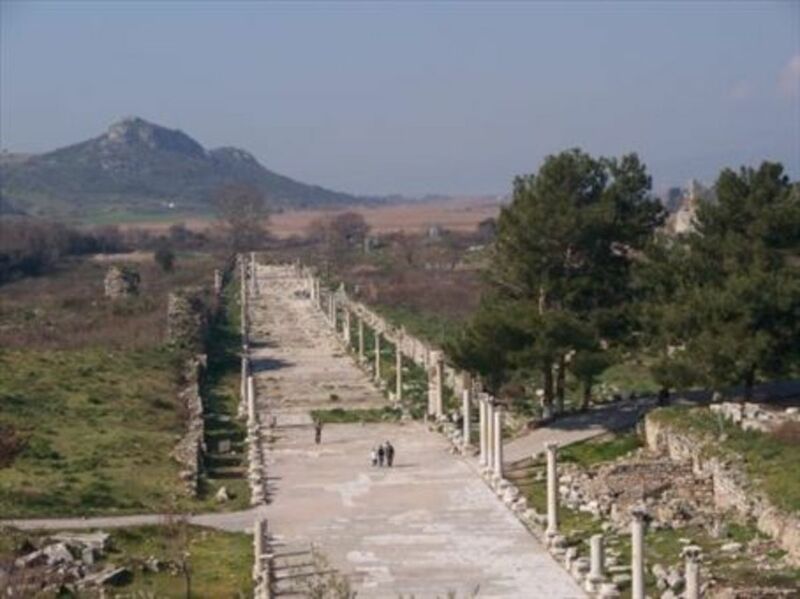 The city of Ephesus has an extremely rich history.It was the site of the Temple of Artemis Diana (One of the seven wonders of the ancient world), was visited, and liberated by Alexander the Great, and was an important center for early Christianity. Paul spent time there, preaching and eventually being imprisoned for endangering the livelihood of silver-smiths employed in fashioning statues of the city's patron deity, Artemis. 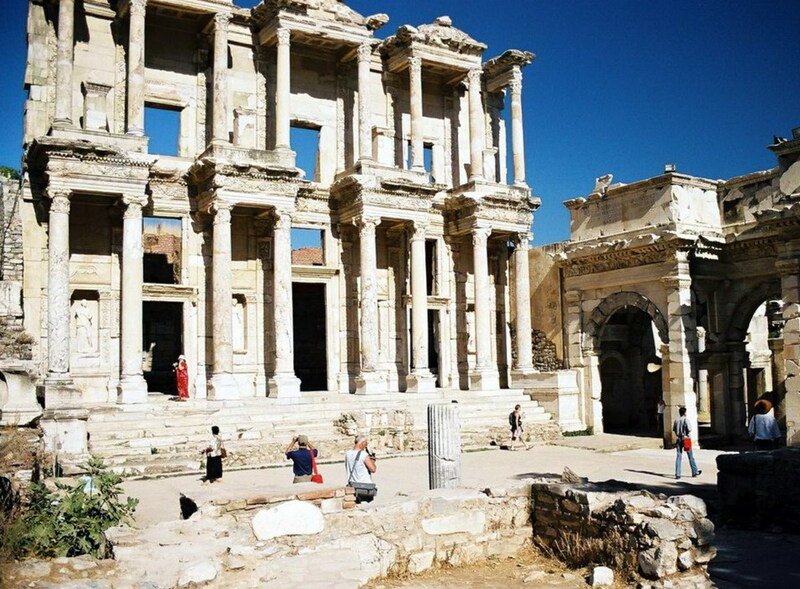 (Acts 19:23) The highlight of a visit to Ephesus is the facade of the Library of Celsus, an excellent example of Roman architecture and the most stunning and preserved aspect of the entire city. Sipping milkshakes, smoking hookahs, and lounging. 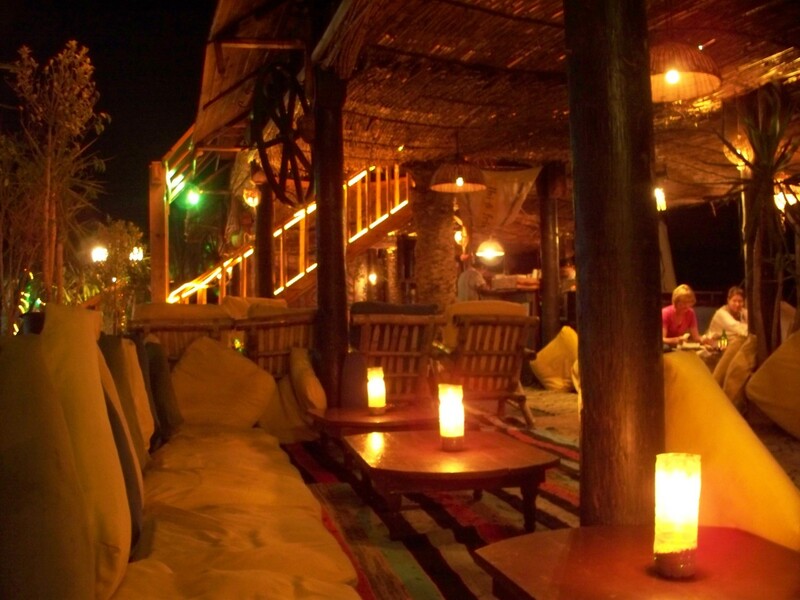 Ah Dahab, just thinking about this place makes me relaxed. No impressive ruins, or museums, just a tranquil and idyllic seaside town, that has managed to retain a sense of calm despite a moderate influx of tourists throughout the year. 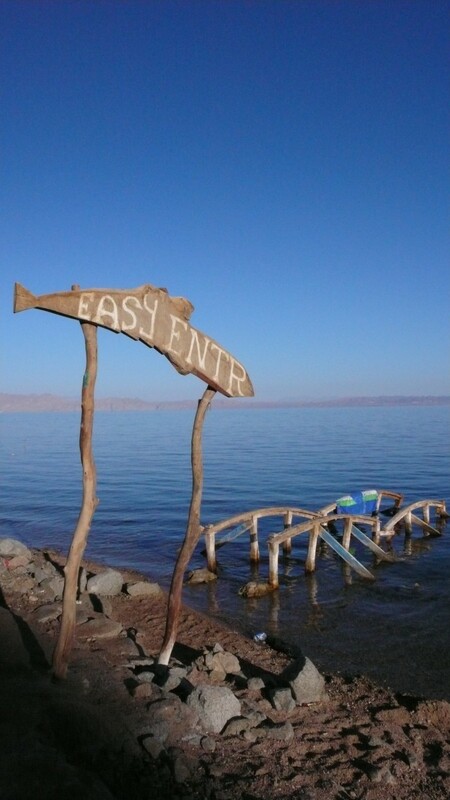 The village of Dahab is located in the Sinai Peninsula, along the Gulf of Aquaba, and boasts some of the best diving and snorkeling spots on the planet. The beach promenade is a series of diving/snorkeling shops, restaurants, hostels, gift shops and bars, and though it's nearly impossible to walk around Dahab without being touted incessantly, but how can one get angry here? It's relaxing and beautiful, and the sounds of waves lapping the shore accompany every breakfast, lunch and dinner. A perfect pit stop for exhausted backpackers. Built between 523 and 527, the Hagia Sophia, first a church, then a mosque, and now a museum, is a masterpiece of Byzantine architecture. The interior boasts intricate mosaics, polished marble floors and a dome that will leave your neck sore from constant gazing. 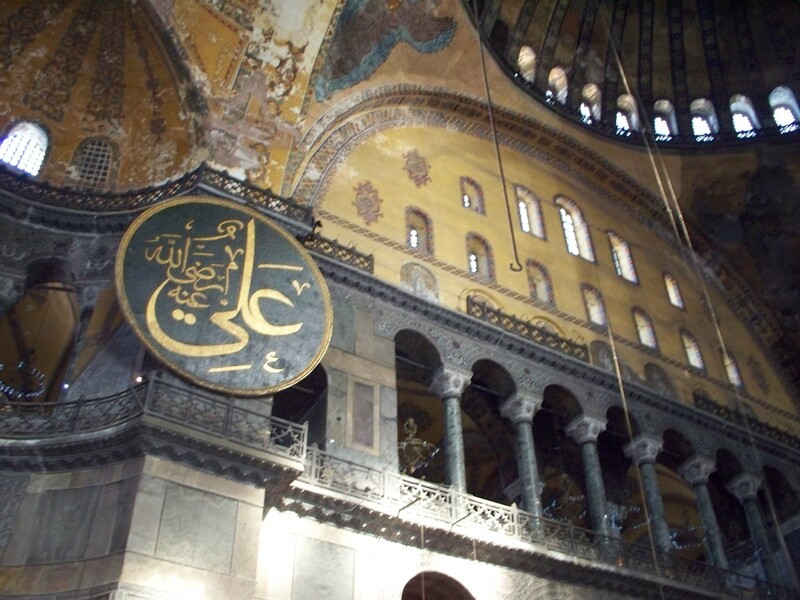 Like the similarly astounding Pantheon in Rome, the Hagia Sophia is crowned by a massive dome, sitting upon a rectangualr building. The architectural problem this poses is solved by four triangular, concaved sections, called pendentives, which share the dome's weight equally and visually lend an air of lightness to the building. In this particular section of Istanbul, artistic and architectural treasures abound. 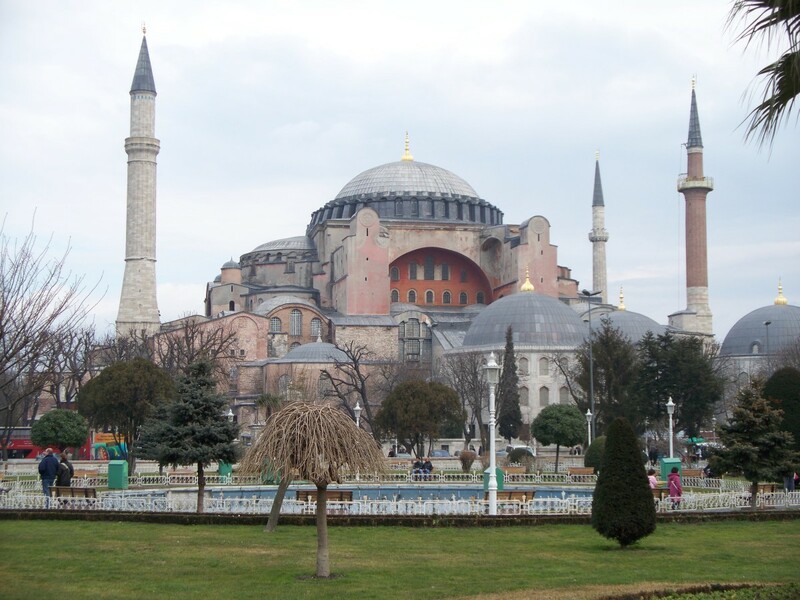 While there, head towards the Byzantine Hippodrome (horse-racing track of antiquity ) where you can check out the 3500 year-old Obelisk of Theodosius, the Museum of Turkish and Islamic Art, and the Hagia Sophia inspired Blue Mosque. Where to begin? 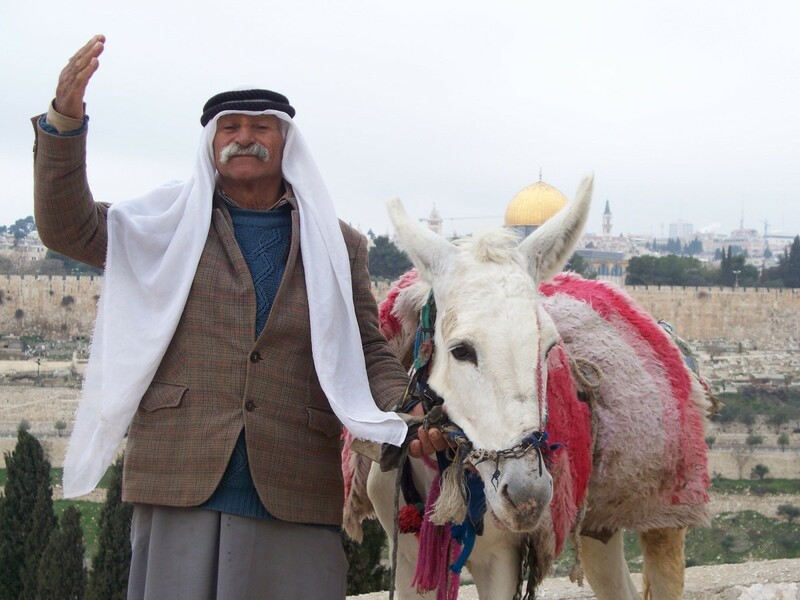 From the massive gates to the Via Dolorosa, from the Holy Sepulchre to the Dome of the Rock, Jerusalem richly abounds in historical, archeological, and religious significance. It's no wonder then, that even in January, tourists were everywhere. Here you can touch the Western Wall, the last remnant of Judaism's 2nd Temple, gape in awe of the shimmering Dome of the Rock, or stand in the very spot where the cruxuficion of Christ occurred. 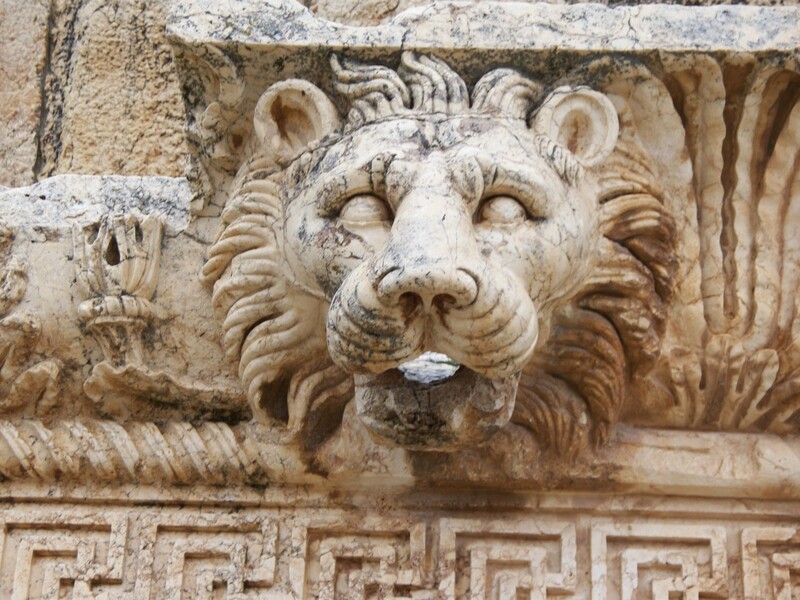 It seems there is hardly any end to the sites of interest that Jerusalem holds, and thanks to the fervent work of archaeologists, more sites are being discovered every year. One word of advice though, Jerusalem is expensive, and though you may be tempted to chintz on the sleeping accommodations, I would advise against it. My hostel was a disgusting, cluttered flea-trap, and waking up with hives on your face is no way to start a vacation. Consider yourself warned. Wow. 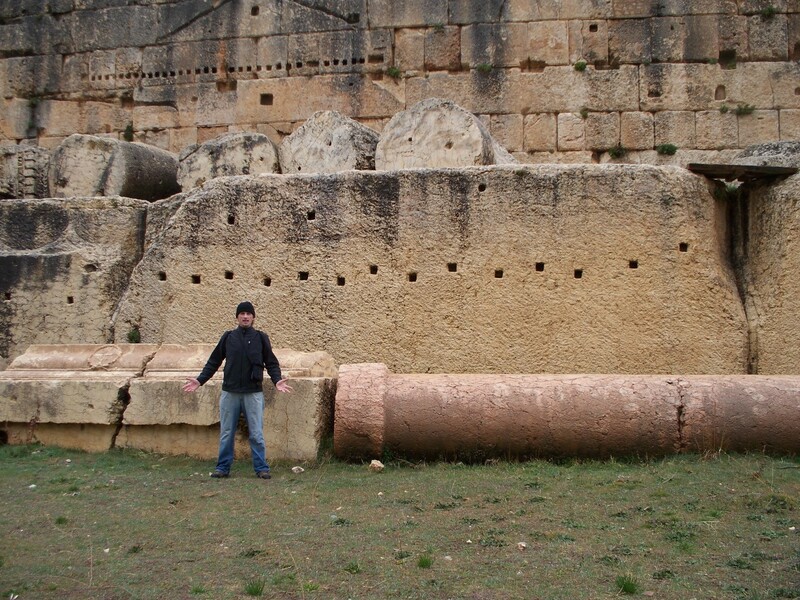 It's a testament to the grandeur of Baalbek that despite being soaked to the bone in 40 degree weather, every photo of myself shows me grinning like a schoolboy. I absolutely loved this place. The Temple of Jupiter completely dwarfs the Parthenon in Greece, and the scope of this site was far beyond what I had imagined. The first thought that struck my mind is the gargantuan nature of everything. The doorways here could easily accommodate giants, the pillars reach to the sky, and the foundation stones are of such massive size and weight that the mind reels contemplating the methods used to position them. 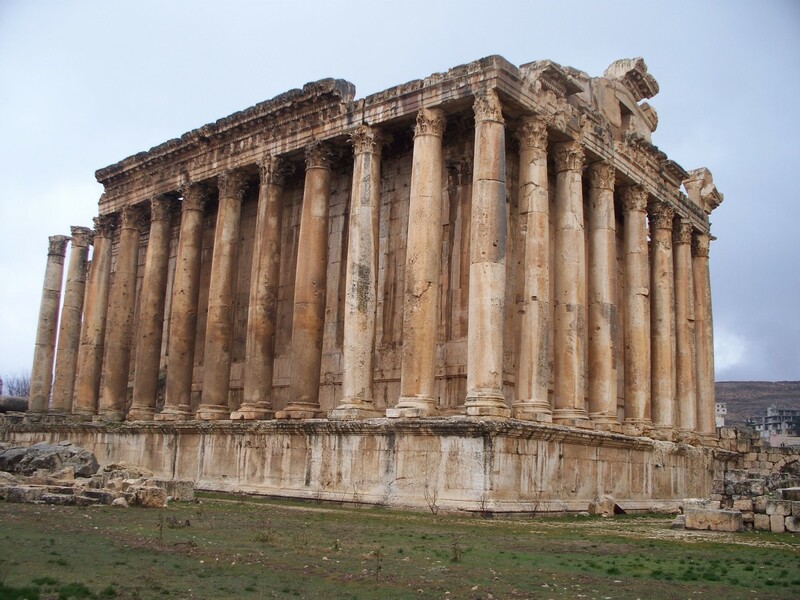 Known as Heliopolis, or "City of the Sun" to the Greeks and Romans, Baalbek was originally the site of a Phoenician temple to their god Baal. During its period of Roman occupation it reached its zenithg regarding aesthetic appeal and size: its proportions are monstrous. We then walked one soggy, cold kilometer to see the so-called "Stone of the South," an absurdly large dressed stone that is estimated to weight upwards of 1500 tons. wow. The unfortunate part? Baalbek is in Lebanon, and just so happens to be the birthplace of Hezbollah, a, depending on who you talk to, terrorist organization. On and on it went, one stupendous pillar, obelisk or statue after another. 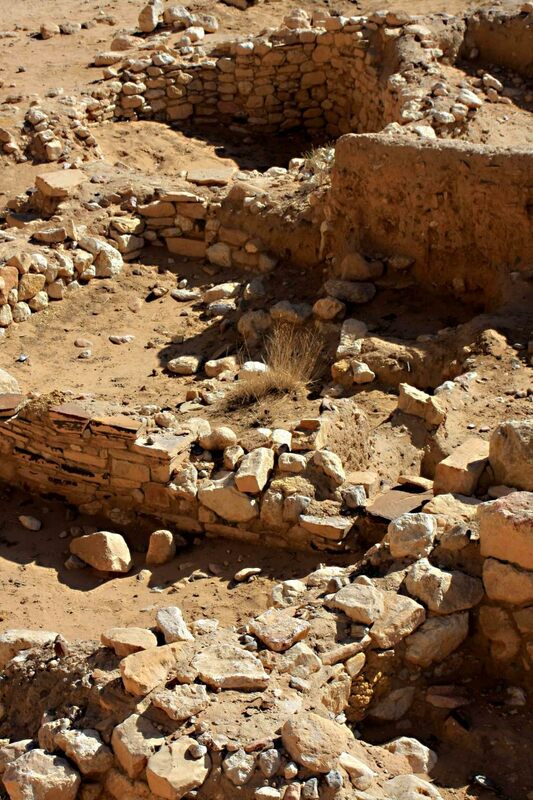 Most likely built by Seti I, the gargantuan Karnak Temple that visitors see today is but one of four precincts comprising the entire complex. Particularly impressive was the Great Hypostyle Hall, a veritable forest of papyrus columns that, although it seems hard to believe, cover an area of 7200 square yards, large enough to contain the Notre Dame Cathedral. 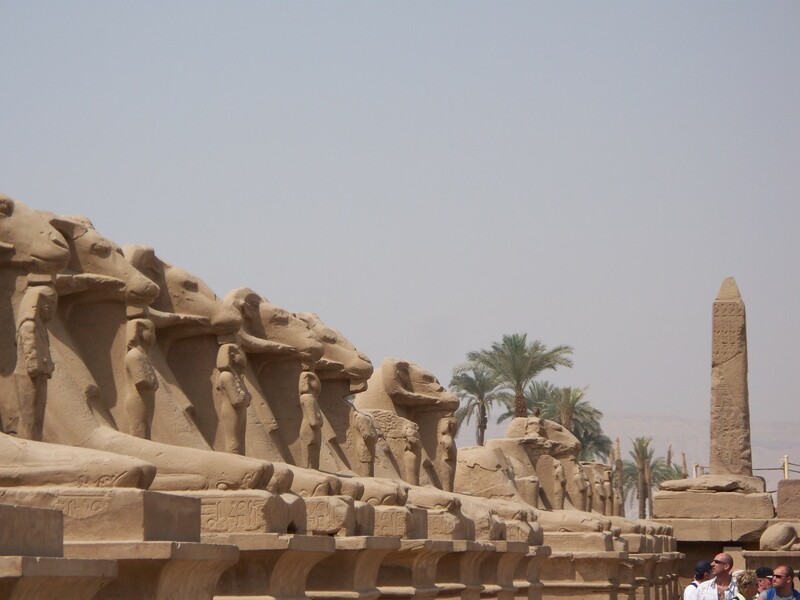 Karnak is located in Luxor, the capital city of Ancient Egypt during the 11th and 18th dynasties, when it was know as Thebes, and boy, it shows. 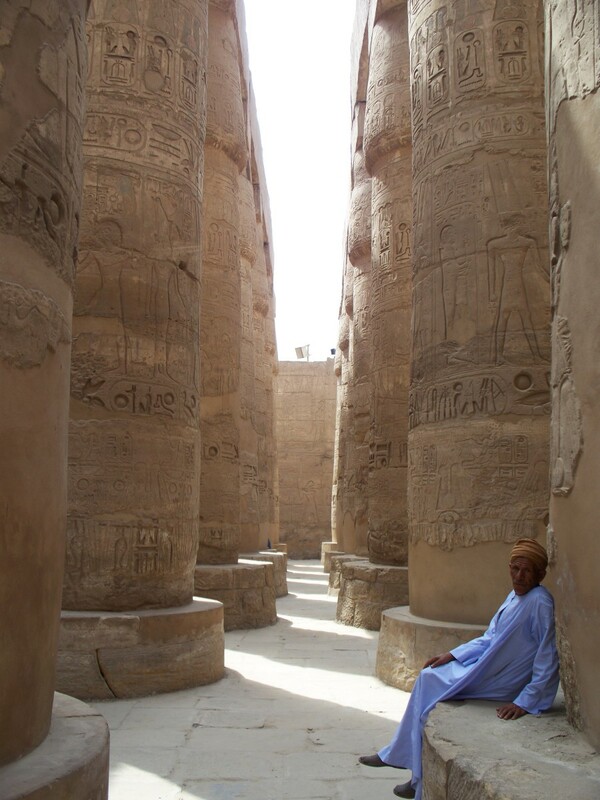 Although we visited many, Karnak was by far the most impressive temple I saw. From top to bottom almost every square inch was inscribed with hieroglyphs. Towering obelisks pierce the sky, accompanied by the collosal icons of pharoahs long past, wearing faces of menacing solidity. I can hear the gasps of disbelief already, "The Pyramids? At number two!?" Yes, sorry to say, as amazing as these are, the fact remains that certain aspects detract from sites, these aspects being the constant hassling one can expect to endure the entire time while there, and the french rap band I had to listen to while trying to have a poignant experience in the shadow of the Sphinx. Aside from that though, yeah, this is a jaw-dropping place. A camel ride around the plateau is highly recommended, as there is a lot of ground to cover. What sticks with me concerning these monuments is how surreal they appear when viewed from a distance. 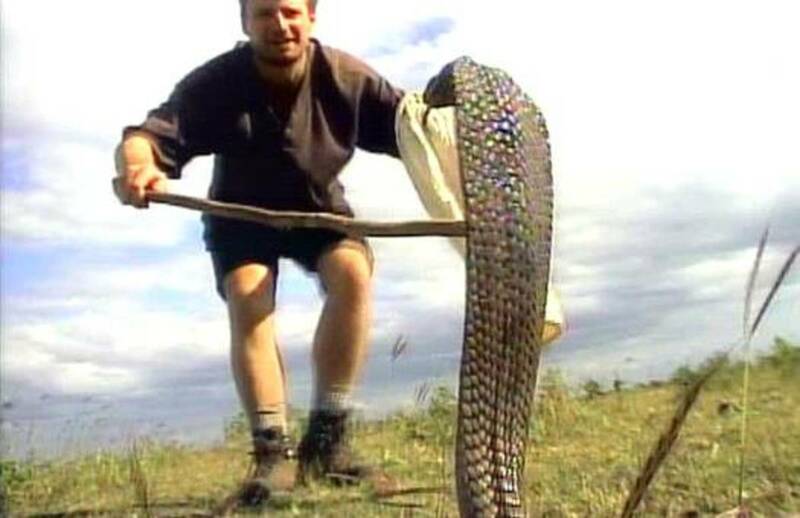 They are just so huge, so out of place, so fantastic, that it's hard to grasp the reality of their existence. But yet, they're real, and utterly mind-blowing. A bribe will get you halfway up the smallest of the three pyramids, and for twenty bucks you can go inside the Great Pyramid, just make sure you're in shape and don't suffer from claustrophobia. It's a tight fit. My time spent here was two of the best days of my life, and for good reason. I had two new friends to hike with, the weather was perfect, and solitude is easy to find here. 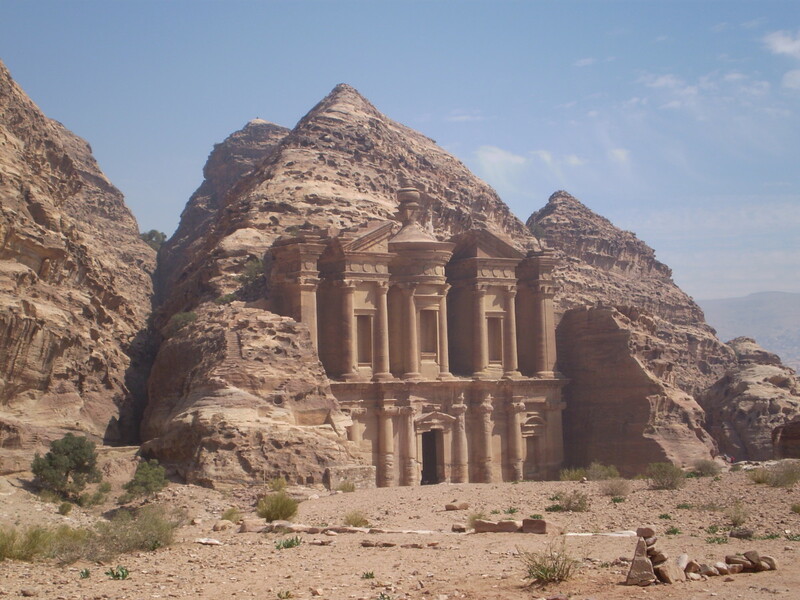 It's not exactly easy to get to Petra, and some of the best spots, "The Monastery", for instance, are only accesible by either a taxing hike, or an equally uncomfortable donkey ride. But for someone who loves to hike, this place can't be beat. 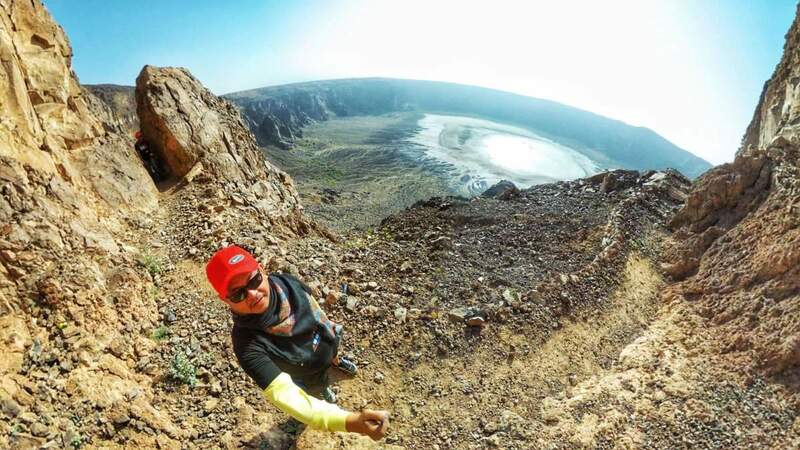 There's just no end to the trails, slot canyons and ruins one can see and experience here. I felt less like a tourist at Petra, and more like an adventurer, especially after my Swiss friend and I traversed a flooded slot canyon that supposedly, could not be traversed. I suppose the feeling of accomplishment that accompanied me in my time spent at Petra is a great factor in its number one ranking, but it goes far beyond that. The colors, the smells, the sounds of silence, so many aspects of this site assaulted my senses, and few other places on this list instilled in me a desire to remain. This place is simply magical. 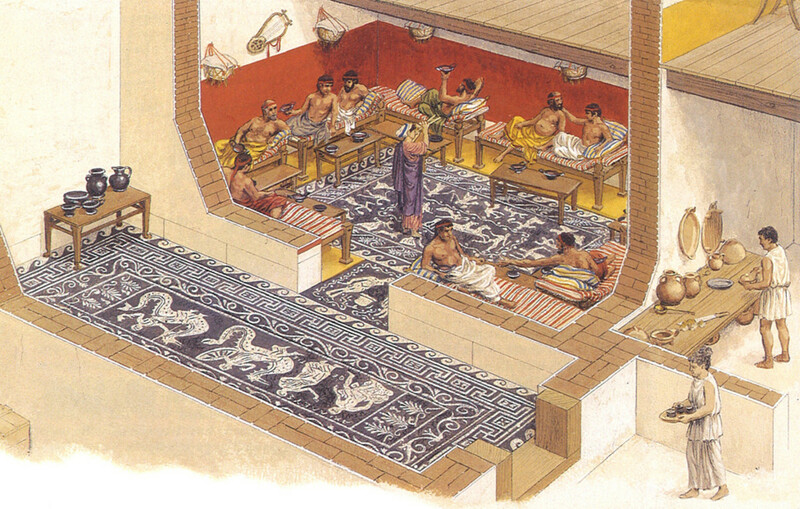 World Nomads Travel Journal: The Labors of Bucephalus. Thanks Sag, I'm afraid I'm not following you on the Hyksos and Kingdom of Edom. 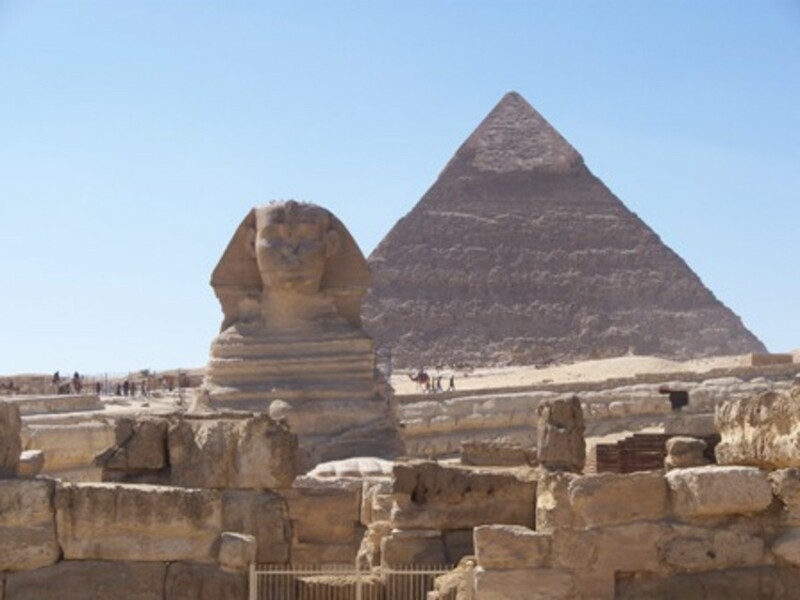 The pyramids, for one, were built centuries prior to the Hyksos invasion, and there is, of course, no direct connection between the Cairo Museum and either of these cultures. 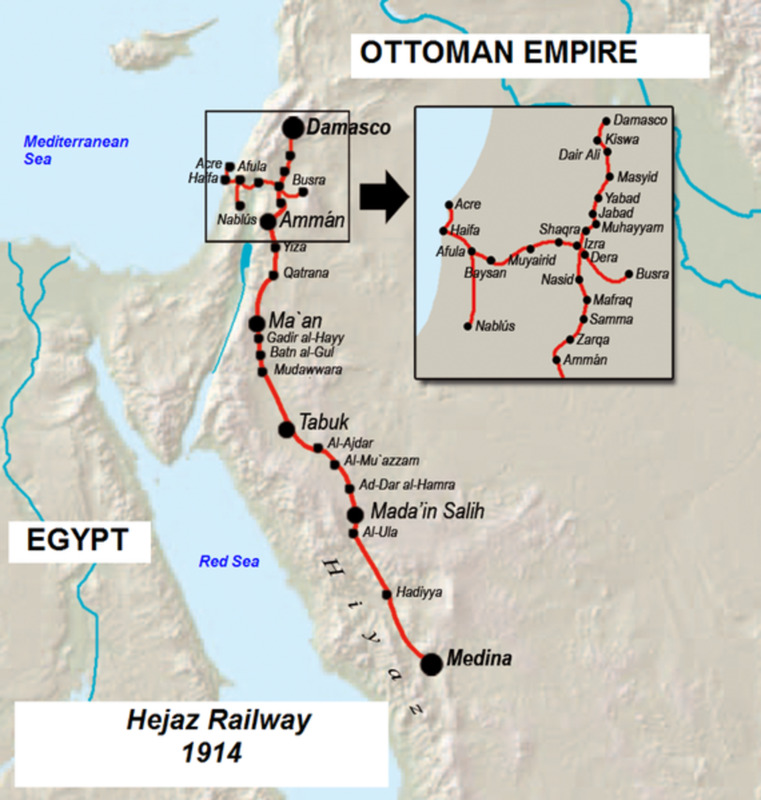 Furthermore, any Islamic sites mentioned in my list also have no connection to the Hyskos or Edomites, these kingdoms predating the advent of Islam by approx. 2000 and 1000 years respectively. I'll give you Petra, however. have you notice that all of them have something to do with Hyksos and ancient kingdom of Edom? Just came back from Jordan ( dead sea , Petra ) and Israel ( jerusalem) 2 days ago and I totally love it. 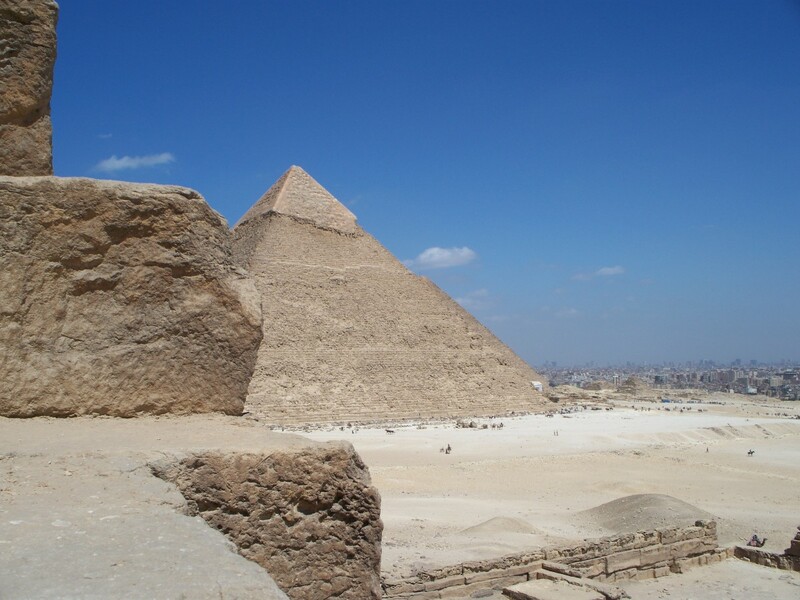 I went to northern Africa ( Egypt and those guys up there ) and the Giza is indeed an equivalent to Petra. Each have their own plus points. However, I think travelling in late march,early April is better than summer. Sweat ur socks off. I think we missed out some places like morocco ( marrakesh) and Algeria (famous ruins) , but yeah , they are considered n.africa. Here's an advice for anyone Traveling in the middle east, Egypt Would be the BEST decision You can EVER make.. I went there Once. And i Will do anything To go there again.. The weather is absolutley AMAZING! And if you would go to a beach or any sea Its very clean Not like the things we have in the U.S Very amaizng I love egypt! Amazing Places in the Middle East... Thanks for sharing your article..
Marwan, I'm continually amazed that people can't seem to read an article without extracting any and all points of controversy within, no matter how insignificant and minute they may be. I'm not gonna write East Jerusalem/Palestine West Jerusalem/Israel under my captions so I can make everyone happy in the world, especially since this is a site visited predominantly by Americans, most of whom see Jerusalem as part of Israel. Sorry to disappoint you, but there are no ulterior, political motivations here, it's just a tour guide! Though there are plenty of hubs here taking a stand on the issue in which you can complain about if you feel so led. cool i LOVE the middle east! best area of the world! Great hub and a fantastic part of the world. Happily I've been to a few of the places you mention, and I'm visiting Istanbul this May - can't wait! JRueter, I stumbled upon this site while searching for amazing places in the world. So happy I found it. Terrific job. You have some amazing memories most people never get to have. Props to you for sharing. I don't where you're getting your information Sean, but they most certainly are part of what we consider to be the "Middle East." The Middle East is, for one, not a continent, therefore it contains parts of both Asia and Africa. Secondly, it does not contain any parts of Europe, as no, Turkey is NOT a part of Europe. Where do you come up with this? Turkey has been requesting inclusion into the E.U. for many years now, but it is not, nor has ever been a part of the defined continent of Europe. While I will grant that the term "Middle East" is an imprecise indicator of borders, the fact remains that the countries listed above are nearly unanimously agreed upon to fall within the area know as the "Middle East." Please think before you type. WOW! NICE! Thank you for sharing with us! Beautiful! When you get a chance, come visit me! Blessings!!! 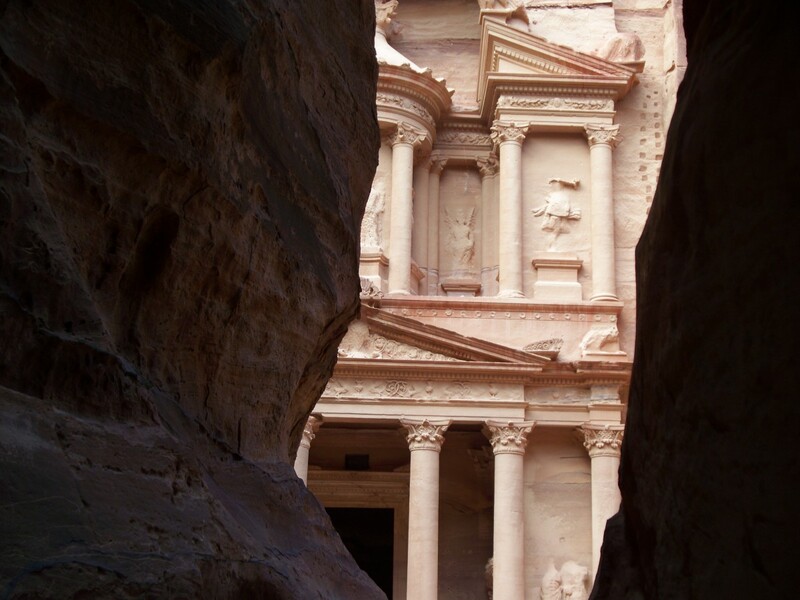 Love love love Petra but I've never been! I want to see it all but I've only visited the pyramids once (funny cos i've been to cairo many times and even lived in egypt for a while). perfumelover, that's the Blue Hole, a really popular scuba diving/snorkeling spot in Dahab. I want to go to that place in turkey!!!!!! 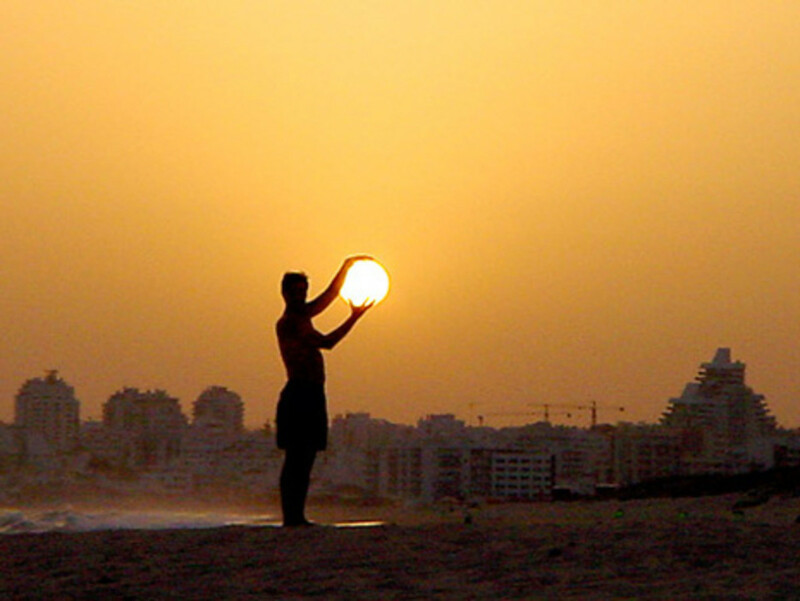 wow, that is amazing!! 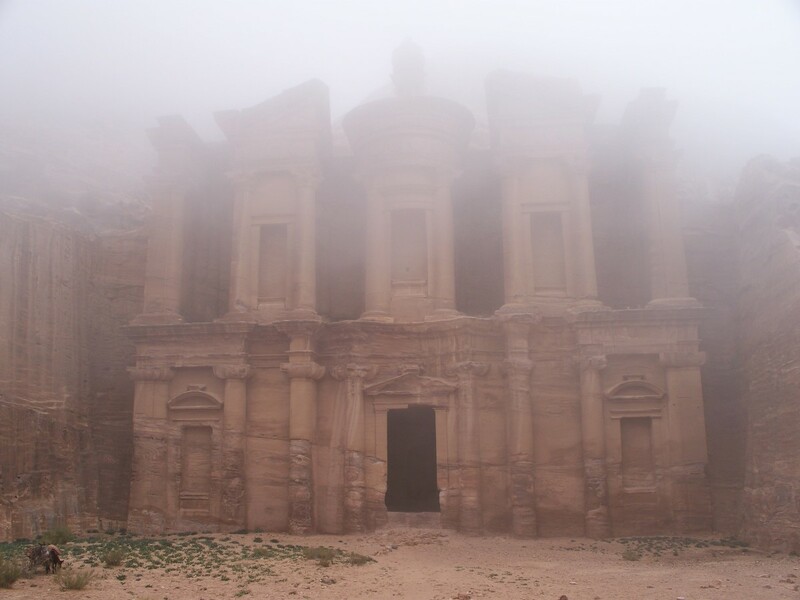 Its so beautiful and I want to go to Petra so badly! I have heard so many great things about it! Thanks for this hub...so many places i want to visit in my life! thanks a lot britney, glad you enjoyed it! Thanks Kosmo, always good to hear from a fellow ancient history lover. Glad you commented, now I'll have to take a look at your hubs! First rate hub, my friend! It seems you and I are lovers of all things ancient. 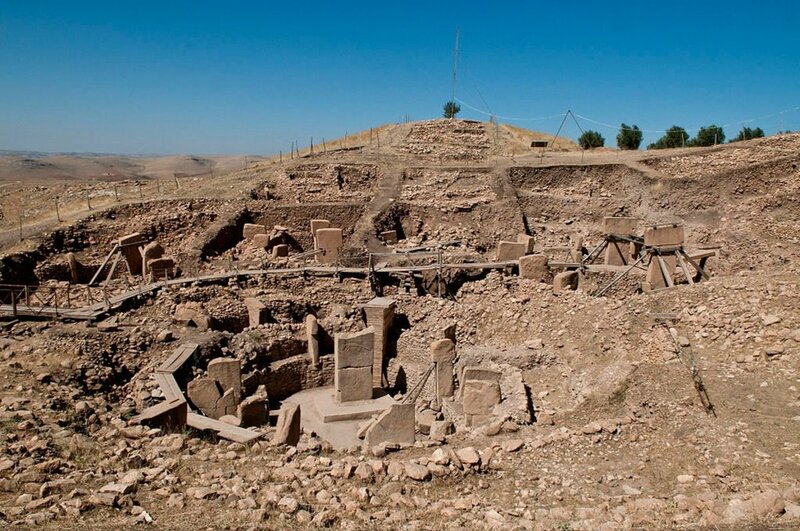 In compiling my list, Ten Most Impressive archaeological Sites, I was unable to visit any of those wonderful locales. Wow, you actually went there! Incidentally, Giza and Petra are on my list as well. Keep up the excellent work! You are welcome. Don't worry we are willing to wait as we all know master pieces are a work of art and not to be created in a hurry. countrywomen, you flatter me! I've never worked for any of the mentioned, but wow, would I love to. I'm so grateful for your words; they are a boost to my self-belief and a motivation to continue to write in spite of my own procrastination and self-doubt. Thanks so much. Jreuter- Well that is the least I could say for doing such a fantastic job. Did you ever work for National Geographic or Discovery or History Channel? Your eye for detail(both pictures/videos) and the narrative writing style is simply excellent (well I couldn't find a word beyond excellent to mention about your travel hubs). I am looking forward to reading many many more of your amazing hubs. wow countrywomen, thanks for the AMAZING compliment, I'm flattered, truly. Glad you enjoyed it! Great Hub - one day I hope to explore the Middle East. I am very grateful to ConstantWalker for recommending your hubs. Now I would say this that this is the best travel hub on Hub pages period. I thought first I would be politically correct and state it as one of the best but felt it wouldn't be doing justice to your efforts and brilliance in compiling such a great travel hub. jreuter, this is an excellent hub, and very well written! Cheryl was right, it's almost as good as a vacation. Next time I'm travelling I'm going to keep all these areas in mind. Paraglider, funny how that works, isn't it? I was recently talking to a friend about how as soon as I reached a new city in the middle-east, I instantly scoped out all the areas of interest, and yet, here in my home city, Portland, I haven't gone to see the zoo yet. And I've been here 3 years! And yes, the Middle East is definitely one of the most important geographical areas on the planet. I wish more Americans would visit. Thanks for reading. Thanks for the tour! I live in the Middle East, but because it's for work, not vacation, I tend to see less of the sights and more of the day to day modern stuff. I still see this as the melting pot of the world though, where East meets West and North meets South. 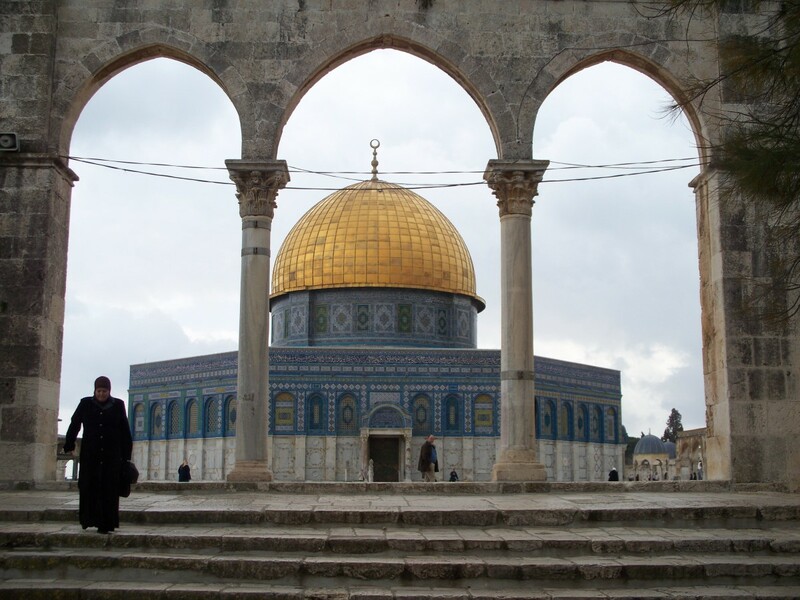 It's no coincidence that three of the World's major faiths sprung up here. SweetiePie, thanks a bunch, you truly reflect your username, and Cheryl, thanks much for the props. We definitely had fun seeing the middle-east, and I can't wait to go back. Good to hear Constant, I hope you write a hub about it! Wow, jreuter, this is almost as good as a vacation and a ton cheaper. Your cousin is a trip and it's obvious the lot of you were having a blast, even if your b*tt did hurt after getting off the camel. Awesome and thanks for sharing. If I travel anywhere, and I fully intend to, it'll be Egypt. This is an amazing hub and you are quite the tour guide! Thanks Constant. You know, i hate to say this, but I went there and was really disappointed. First off, they charge you an admission, and then charge you again if you want to see the tomb of King Tut. And the old adage &quot;you've seen one you've seen them all&quot; is really applicable concerning the tombs in the valley of the kings. But still, I think I was suffering from AEO* by the time I went there. I highly recommend going to Egypt, it's dirt cheap, and the people are really friendly. Absolutely amazing. I've always wanted to visit the Valley of the Kings.